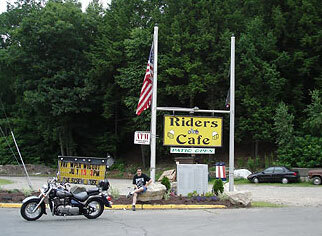 We found Rider's Cafe down the street from Doc's Motorcycle Shop. We stopped to check it out, but for some reason it was closed. It looks like a popular hangout for bikers, and it is open to the public. They have reserved parking for members. I-84 East and West: Take exit 20 to Route 8 North. 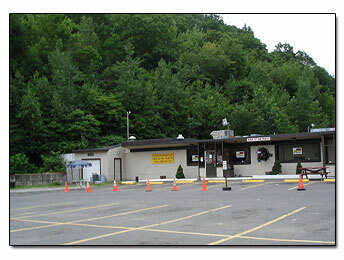 Route 8 North: Take exit 36. Turn right onto Huntingdon Ave.
At second light, turn left onto Thomaston Ave. It is approximately 2 miles on the left. Route 8 South: Take exit 37. Turn left at the end of exit. Turn right at stop sign onto Thomaston Ave. It is approximately 2 miles on the right.